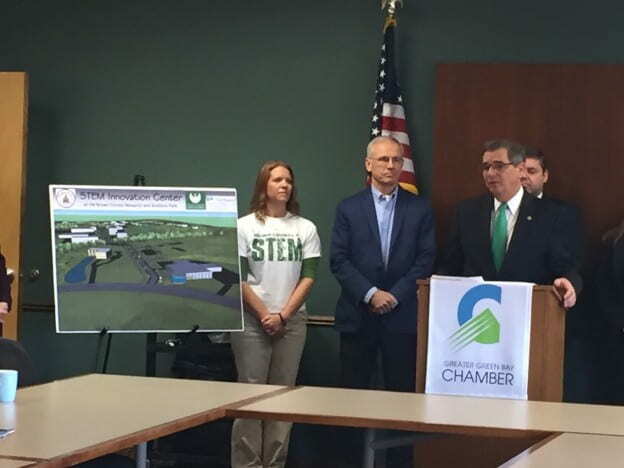 Plans for a STEM Innovation Center with the University of Wisconsin-Green Bay, Brown County and Northeast Wisconsin Technical College as partners, were announced yesterday. The facility would help further education in science, technology, engineering and math, to help narrow the skills gap in the region. It would be built in the Brown County Research and Innovation Park, near the University Avenue corridor, just minutes from the UW-Green Bay campus. This entry was posted in News and tagged community, Innovation, Log E-news on October 14, 2016 by Sue Bodilly.